The lovely Leemei from My Cooking Hut invited to do a guest post for her. How can I turn that down? She has a beautiful blog with great collection of Asian and French recipes. Not only that she is a fabulous photographer as well and I often seek inspiration from her blog. I was delighted when she requested an Indian sweet recipe, because there is always room for dessert isn't it? Growing up, the only Indian sweets I ate where homemade. I found my mom's desserts way better than anything I could buy at the stores. She can make a simple fruit pudding to gulab jamun, to burfi's with such ease and guests often ask for more servings. My own experience with Indian sweets didn't start too well. Without any apparent reason I was averse to trying out Indian desserts. May be it was the thought that they are time consuming or just the plain fear of never matching up to my mom.Considering this a real shame - more so because my entire family including uncles and aunts are considered pro's in the field, mom guided me into making 'rabri' to get me started. It worked like a charm is all I can say. What is rabri you ask? Iin India traditionally, we don't have heavy cream, single cream or half and half kind of things with different butter fat ratios. Instead we have one cream called "malai" which is simply made by skimming the top layer of fat that forms on milk when it is heated. But that doesn't mean we don't have our share of fattening creamy heaven! Instead Indian desserts rely on slowly heating full fat milk over a long period of time, evaporating the water content and leaving behind heavenly creamy reduction. Rabri or Rabdi is a form of sweetened reduced milk flavored with nuts and spices. The slow heating creates a distinct nutty flavor which is what really makes this dessert so incredible. Head over to My Cooking Hut where I'm guest posting the recipe. Hope you shall enjoy it as much as we do. YUMMY .. looks so creamy and tasty.. and how easy to make! Can I use green apple instead ? Thank you Kulsum, for being my guest! This is definitely a great introduction to me to Indian dessert! It is lovely to look at and I am sure it is delicious in the mouth!! 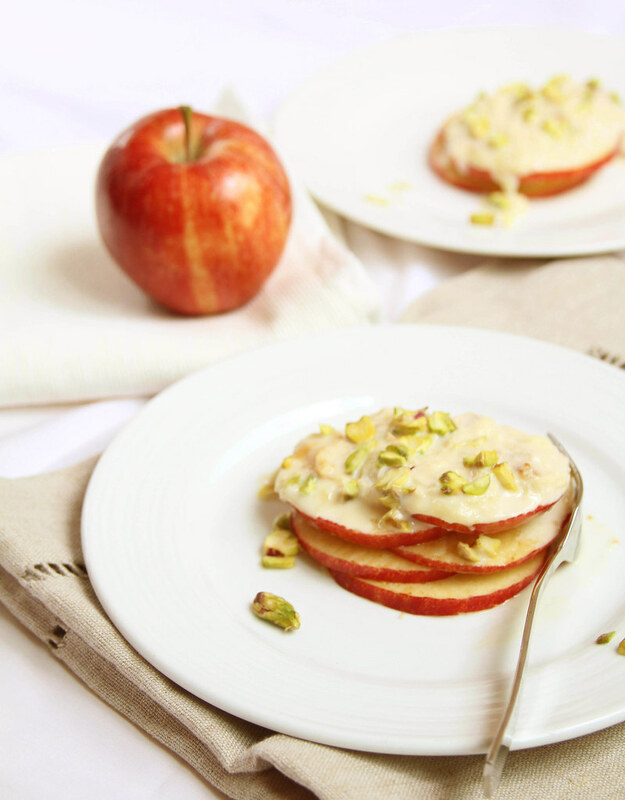 This is a really creative recipe Kulsum.I love that you thought of combining freshness of apples with the thick rabri.Its been years since I had rabri..I wanna make this rightaway! I love the new look of your blog, Kulsum. Sooo PRETTY. It's always a pleasure to come to your blog. 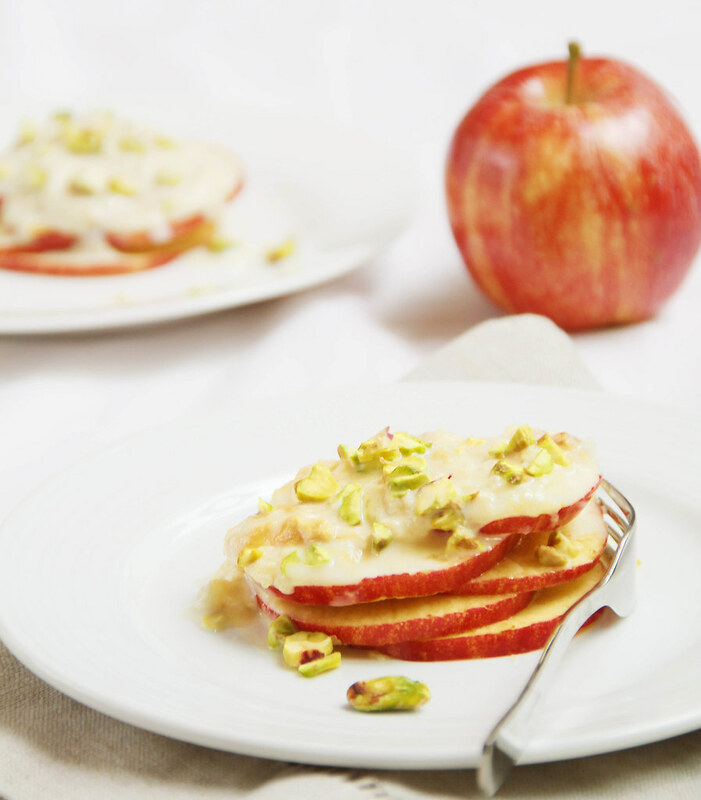 Apple rabri sounds interesting and delightful dessert..Love the recipe..thanks for sharing! Wow! Such a gourmet avtar for such a traditional dessert! Love it! It looks simple and sweet in these photos. I love how each culture has their own take on the classic apple pie. Going to check out your guest post! Rabri looks delicious Kulsum. Nice and thick just the way I like it. I like that you have served it with apple. Heading over to Cooking Hut to have a look at the recipe. I didn't know you were doing a guest post for Leemei too! How funny is that! I'm headed over to check it out. Thank you everyone :-) So glad you like it! Hi Kulsum, the rabri is looking so delightful, a perfect and healthy way to ahve appples...great recipe, thnks ! Hi Kulsum, thanks for stopping by my blog and coincidentally I was browsing Leemei's blog and there you are as a guest blogger :) I really love this dessert and I can't help browsing all your recipes too, the photos are just stunning! Awesome looking rabri with the apple twist. The photographs are sensational. If this looks half as good as the pictures-yum yum! I definitely thought it said "Rabbi" in the title... did a little bit of a double take. Now I'm off to check out the guest post! WOW!! I had no idea about heating milk to create that flavor. And lo cal to boot! This pic is soo pretty and inviting. Kudos to you both. I don't like rabdi.. there i said it:-) But I love the twist u have done here with a fruit! Fresh flavors.. that I really love. Sounds like the middle-eastern ashta which was simply the cream skimmed off the milk in the olden days. Your photos are beautiful, a real pleasure to look at. Such a different dessert to me. Love your beautiful photos. I'm not very interested in making Indian desserts myself - too heavy, too sweet. On the other hand, this sounds lovely - all creamy and delicious! Beautiful and delicious post, my dear! Oh my, I just checked out the recipe and it sounds in incredible! I lobe how this is drizzled over apples. Yum. I'm such a fan of your blog. You are truly a food artist! Beautiful Kulsum such a great job (as always) on this guest post! 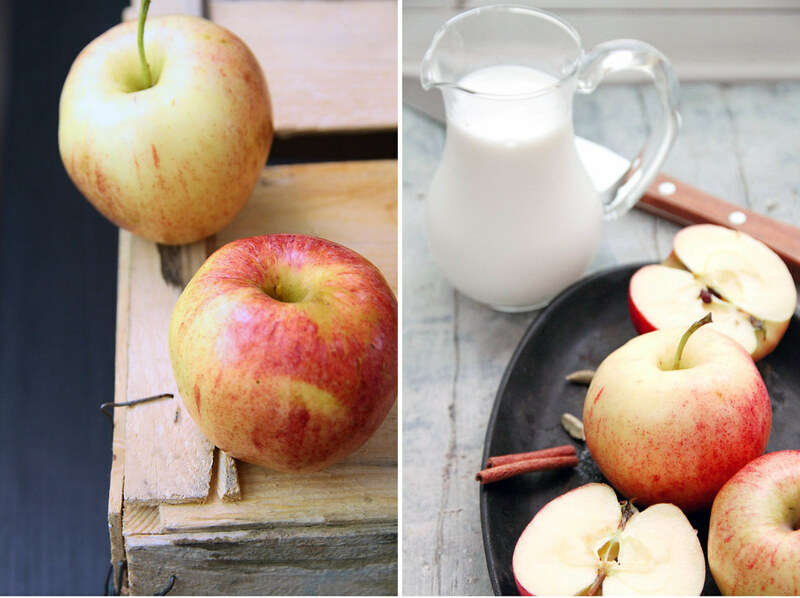 The dessert looks super delicious paired with the apple. Yum! Kulsum, i love the pictures.. Super work.. Rabri and apple is a new combination for me.. love it..
you make me want to grocery shopping and just back and cook all day ! Thanks for sharing this delicious recipe. I love eating and feeding my friends. I invite my friends at my place and feed them I learn from recipe sites. Of course your recipe has delighted me and I am planning to prepare this at my home. Can you please share any thing like Cheesecake or the kind of dishes can be prepared with Cheese? I will be grateful if anything you can share..